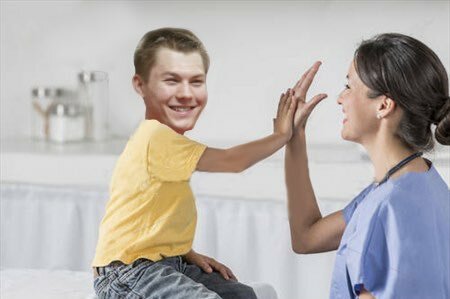 OTTAWA - It seems that not even a trip to the infirmary can wipe the smile from the face of Ottawa Senators forward Curtis Lazar. "I'm pretty excited for this opportunity," Lazar said after meeting with team doctors Monday. "We've got a great medical staff, our rehab facilities are best of breed and have you had a press box hot dog? Those things are top notch!" It's the first major medical setback for the second-year pro but Lazar seems to be taking things in stride. "I can't wait to see how Pumps (recalled forward Matt Puempel) does, that kid deserves a shot," Lazar said while high fiving a custodian walking by. "Looking good, Big Steve. Shower stalls are sparkling this morning, brother!" Lazar was injured after being hit roughly into the boards from behind by Arizona defender Zbynek Michalek, the brother of Senators forward Milan Michalek - a fact that seemed to amuse Lazar. "At first I was all, 'oh geez, Milo must really be ticked that I dog eared his copy of the first Harry Potter,'" Lazar said before breaking into a fit of laughter. "No, psych, that never happened. Just joshing. Milan said his brother texted to check on me but I told him it's all good. These things happen." When pressed, Lazar did admit to some dark feelings immediately after the injury. "Ok, so when I was talking down the tunnel I did say a few 'gosh darn its' and maybe even a 'dang it all to heck...' I'm not proud of that," Lazar mused. "But then I thought, come on Curt, the press box is the second best place to watch a game in all the NHL and there's a lot of guys who'd give anything to be there in my place." "And did I mention the hot dogs?" The Senators finish off their four-game home stand against the Flames on Wednesday.